The Gateway Freedom Center in Salisbury, North Carolina is a 501(c)(3) organization for men who are dealing with drugs, alcohol, habits or any additions. Our staff is trained, educated, dedicated and experienced at empowering and assisting people in the community, churches, shelters, correctional institutions and businesses that have drug and alcohol problems and provide rehabilitation services. All are welcome, regardless of race, age, sexual identity, creed, religion or lack of religion. We are not interested in the amount of drugs you have used or what you did to obtain them, but what you want to do about your problem and how we can show you the Gateway to Freedom from drugs and alcohol. Our vision is to empower men to live independent, drug and alcohol free lives through our program services, by providing the bridge between the devastation of additions and the successful return to freedom by helping individuals become responsible, accountable and self-sufficient for themselves, their children, their family, friends and their community. Our mission is to provide a learning environment that will be an invaluable resource to men addicted to drugs and alcohol, by dealing with the root problem, aspiring people, providing employment and changing the community at large. Our work here in this program is not just about your freedom from drugs and alcohol, but freedom from unhealthy patterns of behavior and attitudes learned before and after you start drinking alcohol and using drugs. We want to help you become responsible, accountable and self-sufficient for yourself, children, family, friends and the community. We will also introduce you to Jesus Christ who we believe is the only One that can free and deliver anyone from drugs, alcohol and any other addiction. 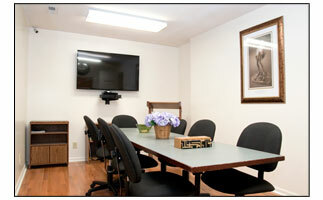 Gateway Freedom Center is a non-profit drug and alcohol rehabilitation center located in Salisbury, North Carolina. 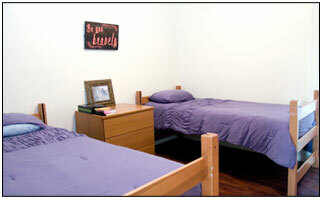 Our facility provides a safe and Christian environment for our clients.